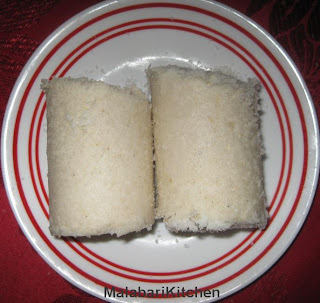 =►Wet rice flour with required quantity of water(add water little by little slowly)and salt mix for 5 min. to obtain desired consistency. 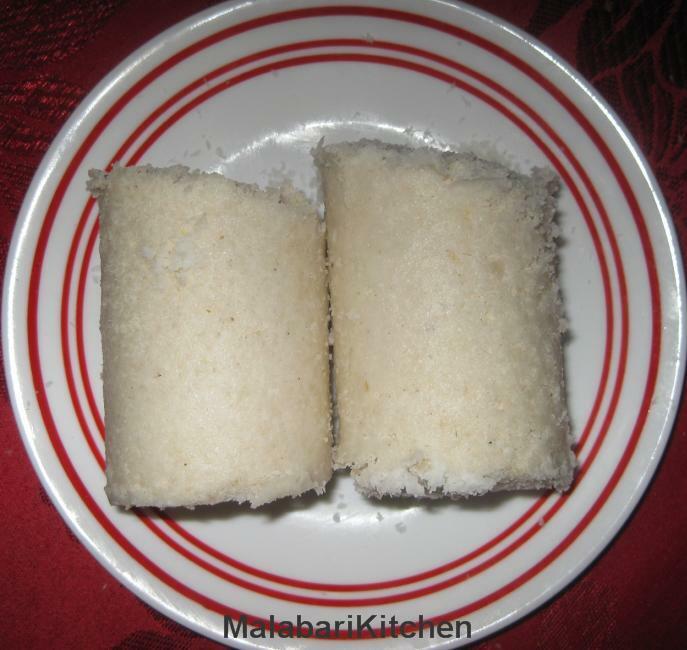 =►Transfer the mix into puttu maker with cocnut gratings alternatively. =►Place the maker on steaming vessel & staem for 5-10min. 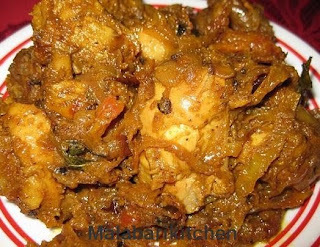 =►When it is finished cooking,remove the cylindrical portion and push out the cakes with stick from the maker to plate and serve with curries or sugar. 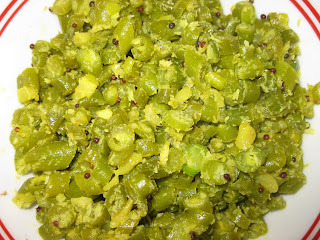 Preheat a pan, add grinded powder, carefully roast it for 5-8min, stir continuously.